A pilot has flown a drone into a crane, according to an air-accident report. The pilot had planned the drone flight in Kent with four reference points, all at 400ft above ground level – higher than three existing cranes on the site. But another crane was erected after his site safety visit, and on take-off the drone crashed into the jib of the new structure, damaging the unmanned craft. The crash, in June last year, is listed in the Air Accidents Investigation Branch (AAIB) update this month. 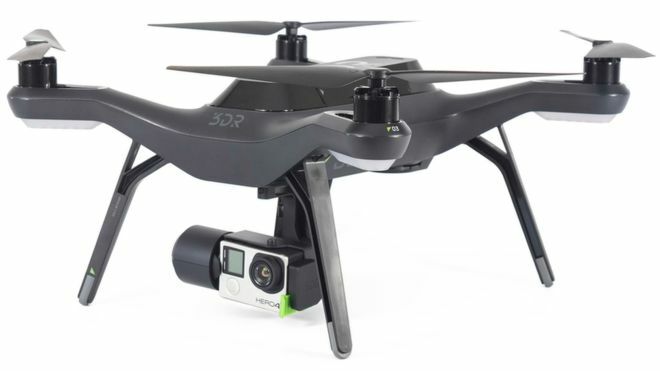 The 3DR Solo is an unmanned aircraft (UA) with a maximum take-off weight of 1.8 kg. With its flight controller it forms an unmanned aircraft system (UAS) and was being flown to document a construction site at Kemsley Mill, near Sittingbourne, using a Go Pro Hero 4 camera mounted on a gimbal below the aircraft. The AAIB report said that after hitting the crane, the drone “fell to the ground and was damaged, but there was no damage to the construction site”. In his comments, the pilot said that in future he would plan such flights to ascend vertically to 400ft shortly after take-off, in a safe corridor, and would avoid cranes.